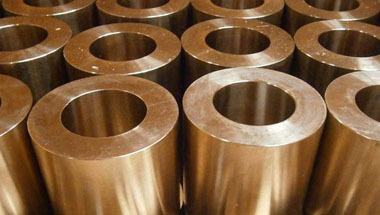 MoldMAX XL Alloy is a high strength copper mold alloy with good thermal conductivity. The alloy contains no beryllium and is available in sections as large as 12” thick. The alloy’s hardness is comparable with AISI P-20 tool steel, but its thermal conductivity is two to three times higher. MoldMAX XL Alloy is used as injection mold cores and cavities. The alloy provides excellent toughness, wear resistance and surface finish. MoldMAX XL Alloy typically machines faster than tool steels, and with appropriate machine tools, metal removal rates several times higher can be obtained. Moldmax XL combines high levels of strength and thermal conductivity. It effectively reduces hot spots, minimizing cycle times and improving as-moulded part tolerances. Moldmax XL has consistent hardness throughout even the largest cross section, providing predictable strength in deep sections and excellent machinability. At the same time, it offers impact strengths suitable for complex designs. UK, Chine, Houston, Egypt, Uganda, Africa, Indonesia, Germany, London, Sri Lanka, Azerbaijan, Colombia, Saudi Arabia, Ethiopa, Argentina, Russia, Peru, Jordan, Tunisia, Turkey, Australia, Venezuela, Bahrain, South Africa, Mozambique, Morocco, Dubai, New Zealand, UAE, Sudan, Algeria, Democratic Republic of the Congo, Vietnam, Nigeria, Iran, Trinidad and Tobago, Canada, Kuwait, Malaysia, Kazakhstan, United States, Ghana, Mexico, Italy, Israel, Iraq, Angola, Cameroon, Thailand (Bangkok), Brazil. Maiduguri, Singapore, Zaria, Douala, Kolwezi, Khartoum, Johannesburg, Conakry, Casablanca, Antananarivo, Riyadh, Istanbul, Abidjan, Colombo, Aqaba, Manama, Kaduna, Dubai, Doha, Amman, Lubumbashi, Rabat, Nairobi, Algiers, Data from the UN, Freetown, Lusaka, Mogadishu, Benin, Ouagadougou, Muscat, Byblos, Tripoli, Lagos, Ibadan, Addis Ababa, Mbuji-Mayi, Pretoria, Tel Aviv, Bulawayo, Sharm el-Sheikh, Jerusalem, Dammam, Dakar, Fez, Abu Dhabi, Subra al-Haymah, Mecca, Harare, Kampala, New York, Hong Kong, Bamako, Port Elizabeth, Dar es Salaam, Cape Town, Yaoundé, Alexandria, Kinshasa, Omdurman, Jeddah, Brazzaville, Cairo, Durban, Kano, Maputo, Luanda, Beirut, Cairo, Bethlehem, Accra, Soweto, Giza, Tehran, Port Harcourt.